Precious Ramotswe learns valuable lessons about first impressions and forgiveness in this latest installment of the beloved and best-selling No. 1 Ladies' Detective Agency series. Mma Ramotswe and Mma Makutsi are approached by their part-time colleague, Mr. Polopetsi, with a troubling story: a woman, accused of being rude to a valued customer, has been wrongly dismissed from her job at an office furniture store. Never one to let an act of injustice go unanswered, Mma Ramotswe begins to investigate, but soon discovers unexpected information that causes her to reluctantly change her views about the case. Other surprises await our intrepid proprietress in the course of her inquiries. Mma Ramotswe is puzzled when she happens to hear of a local nurse named Mingie Ramotswe. 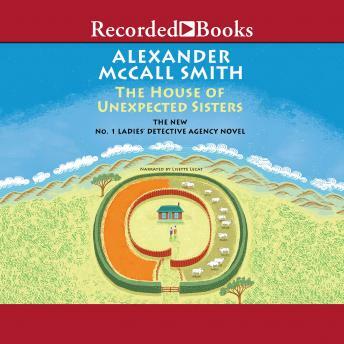 She thought she knew everybody by the name of Ramotswe, and that they were all related. Who is this mystery lady? Then, she is alerted by Mma Potokwani that an unpleasant figure from her past has recently been spotted in town. Mma Ramotswe does her best to avoid the man, but it seems that he may have returned to Botswana specifically to seek her out. What could he want from her? With the generosity and good humor that guide all her endeavors, Mma Ramotswe will untangle these questions for herself and for her loved ones, ultimately bringing to light important truths about friendship and family-both the one you're born with and the one you choose. I loved every book in the series. Narration is awesome.